Sorry, this emerald Claddagh ring is now sold out. This 14K white gold Claddagh ring features a 0.12ct emerald heart and measures 1/2" tall in front. 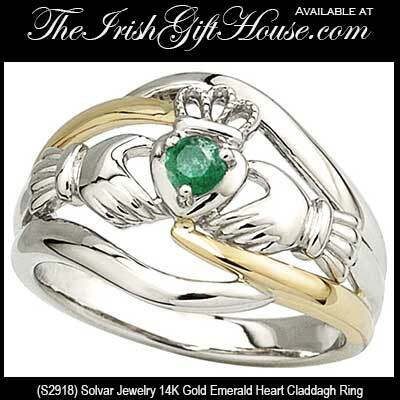 The emerald Claddagh ring is enhanced with yellow gold accenting. 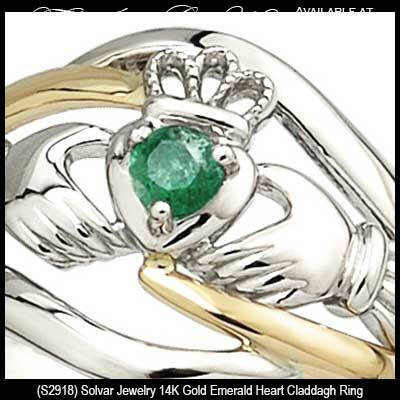 This emerald Claddagh ring is available in sizes 6 through 10, including half sizes.